Minding our own business, taking the dogs for a stroll in the wood, yesterday evening, Hilly and I came across this… The first cut! This is particularly exciting because it’s something we’ve been talking about – an essential measure for lots of reasons, not the least of which is to tidy things up a bit. 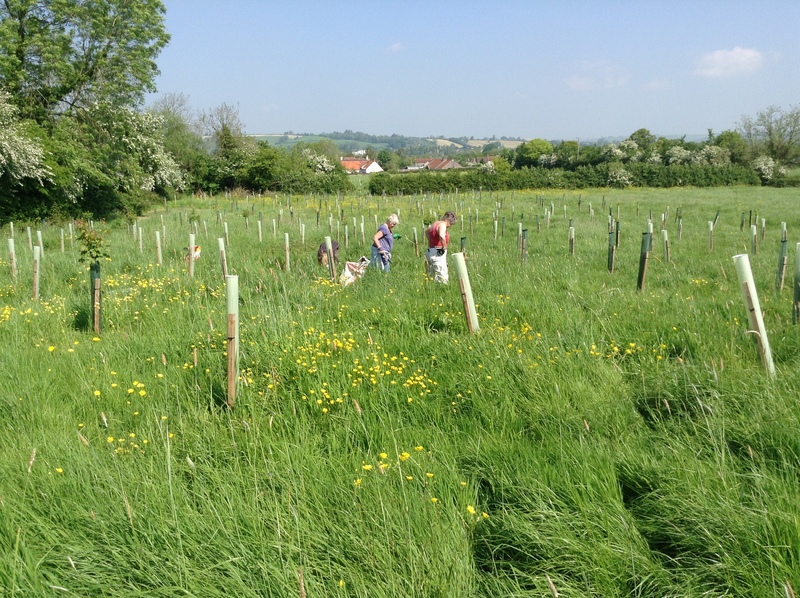 More seriously, it’s clear from our botanist’s report that we’ll need to cut and carry away the grass in the areas where we want to create wild flower meadows – to reduce the fertility and lushness of the grass. For more pictures, see the gallery. Categories: Uncategorized | Tags: Grass cutting, Haddon Wood, Silage | Permalink.